The Marksbury Family Foundation funds education related programs run by non-profit organizations in Central Kentucky. Including, but not limited to, childhood development programs, scholarships, and continuing education programs for adults. The details below will help determine whether your organization and potential grant is a fit for our foundation. In 2009, the Marksbury Family Foundation made its inaugural grant, funding the UK College of Engineering's Davis Marksbury Building. The building houses UK's Department of Computer Science. It is also part of UK's Digital Village concept. Along with other buildings in the Digital Village, it is a place of innovation, creativity, and collaboration where researchers from across the campus come to explore a wide range of issues. The building provides opportunities for future innovators and technological advancements. 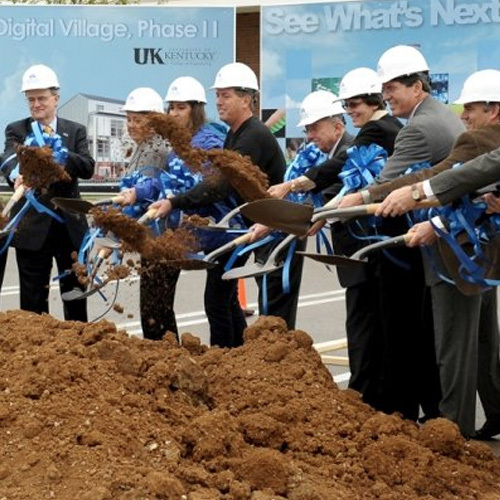 Additionally, it was a milestone for UK, being the campus' first LEED certified building. For the Marksbury Family Foundation, the grant served to give back to the university where Davis Marksbury received his education in engineering. The Marksbury Family Foundation's grant to the Living Arts and Science Center funded the Marksbury Discovery Gallery, as part of LASC's Imagine This! Campaign. 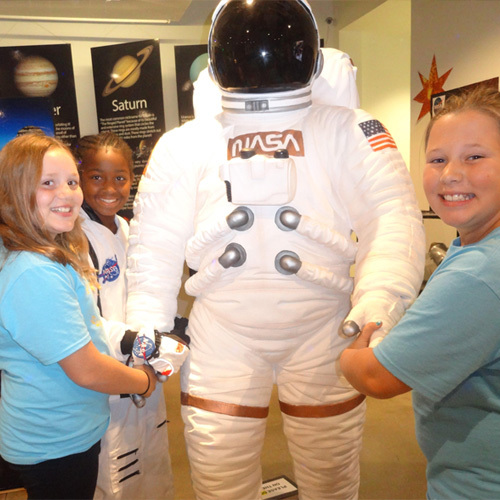 The Discovery Gallery is a field trip destination for Kentucky students across the state. Each year it features a new, hands-on exhibit. The exhibit highlights a topic related to arts or science that is included in Kentucky's Core Content. 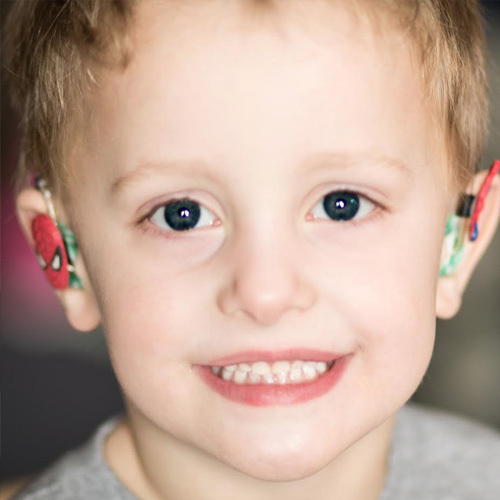 The Marksbury Family Foundation's grant to Lexington Hearing and Speech funded their Give Kentuckians a Voice Campaign. The funding covered two areas, technological updates and the Early Learning Center's financial assistance program. LHSC teaches children with hearing, speech, and language impairments to listen and talk. They provide high quality educational, clinical, and family support services. Additionally, they are important to Kentucky because they are the only organization in the state that provides education, audiology, and speech/language pathology programs all in one location. 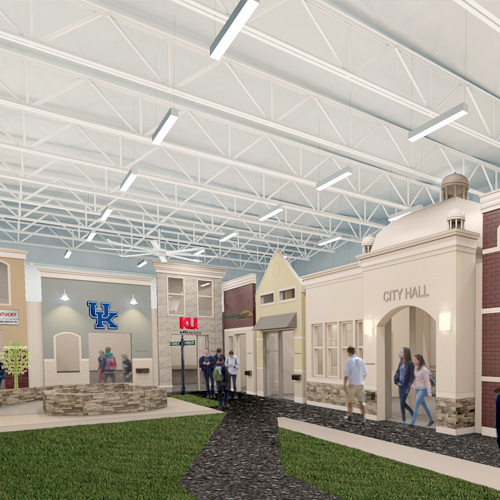 The Marksbury Family Foundation's grant to Junior Achievement of the Bluegrass helped fund the transformation of Linlee Elementary School into an exciting, state of the art facility where students come to experience a living lesson through JA BizTown and JA Finance Park. JA BizTown is a unique program for upper elementary school students. It covers roles of workers and consumers through a series of classroom lessons. The lessons culminate in a visit to JA's fully-interactive simulated town. Through the program students discover real-life opportunities available in the free enterprise system by acting as business operators, taxpayers, and consumers. Additionally, JA Finance Park is a program for middle school students. It provides a practical, hands-on simulation of making a personal budget. The in-classroom program is complemented by a visit to JA Finance Park. During the visit, students immerse themselves in a reality-based decision-making process that addresses individual and family budget concerns. The Community Room is named in honor of the Marksbury Foundation. 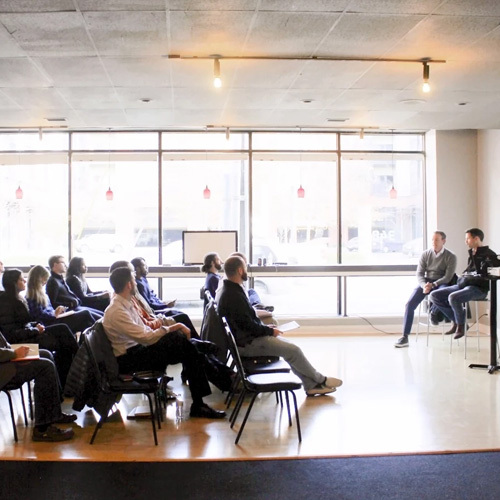 The Awesome Fellowship Program provides pro bono support for early stage Kentucky startups. Support services include access to mentors, legal services, web developers, and more. Through the program, entrepreneurs gain a vital support system that helps them stay on track and grow their businesses. The program keeps entrepreneurs and their businesses in Kentucky; creating local jobs and stimulating the economy. Our support for the Awesome Fellowship funds services for start-ups participating in the program. GSE is a 3-week residential summer program. It hosts Kentucky teens that are interested in entrepreneurship. The program exposes students to entrepreneurial thinking and inspires them to be creative. 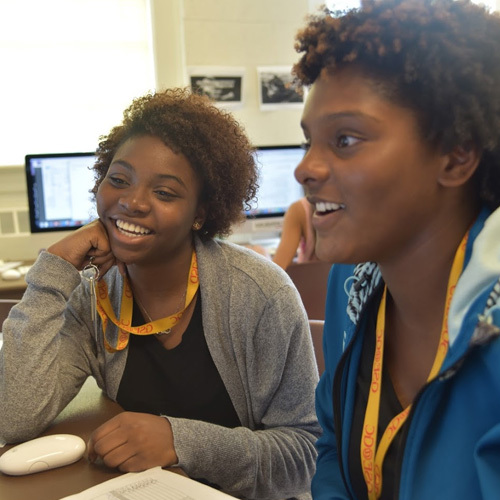 The program is the only fully immersive, accelerator-style program offered to Kentucky high school students. Alumni of GSE boast impressive statistics; both in their school performance and the entrepreneurial work they have done after completing the program. Overall GSE stimulates Kentucky's entrepreneurial ecosystem by ensuring that future entrepreneurs learn the skills they will need to be successful. Our grant for GSE funded general operating support of the program. 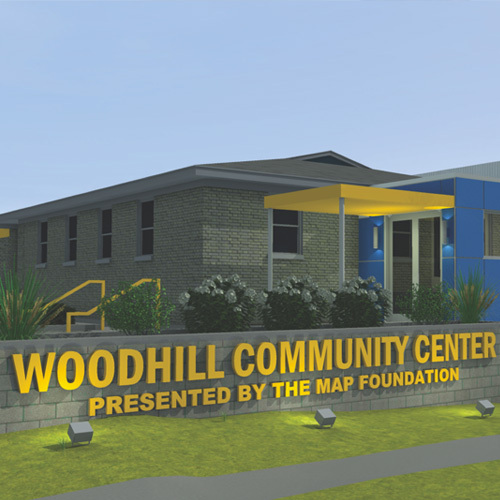 The Lexington Leadership foundation (LLF), through the Woodhill Community Center, is addressing needs in Lexington's Woodhill neighborhood. Woodhill is home to Lexington's most diverse and economically disadvantaged population. Criminal activity and drug abuse are alluring traps for youth in this community. LLF's 20,000 square foot community center strives to provide a safe and empowering alternative. The community center focuses on academics, arts, and athletics for the community's urban children, youth, and families. The goal of the center is to give the kids of Woodhill a place where they can find hope, feel welcome and safe, and realize their potential through learning how to grow, thrive, and lead effectively. 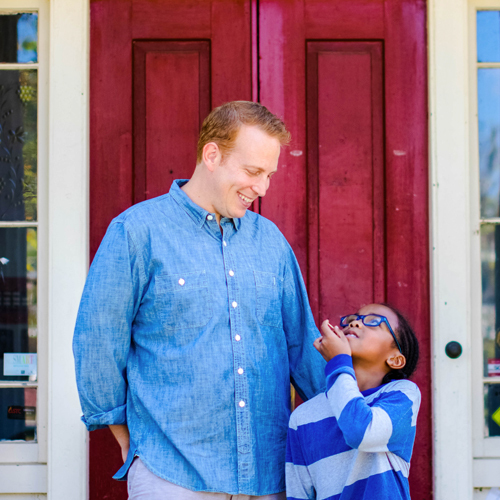 Big Brothers Big Sisters of the Bluegrass makes meaningful, professionally monitored matches between adult volunteers ("Bigs") and children ("Littles") ages 6 to 13. BBBS of the Bluegrass believes that strong, enduring, and professionally supported one-to-one relationships change lives for the better, forever. 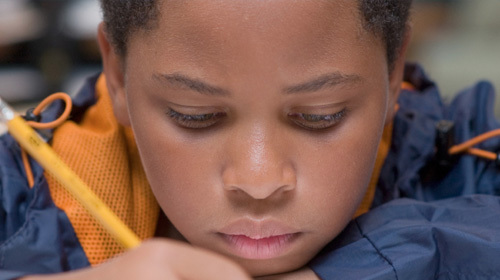 Their School Plus Community Mentoring program offers consistent, individualized time and attention for children and youth who would otherwise be lacking positive role models. Bigs and Littles meet regularly during the academic year and utilize resources available within the school, such as computer labs, the library, the gym, classrooms, and play areas. The program has consistently shown to improve the Littles' confidence, positive attitude, and academic success. Our grant is helping to fund over 100+ new matches across the bluegrass. Centre College is currently underway with a three-phase update of their indoor athletic facilities. The first phase was a complete renovation of the locker rooms. The second phase is an update of Bowman Gymnasium, a gym that is used as a practice facility for basketball and volleyball. The third phase is a renovation of Alumni Gymnasium, Centre's competition gym that is used for basketball and volleyball games. Centre's goal for the update is to recruit more student-athletes and to improve the student-athlete experience. 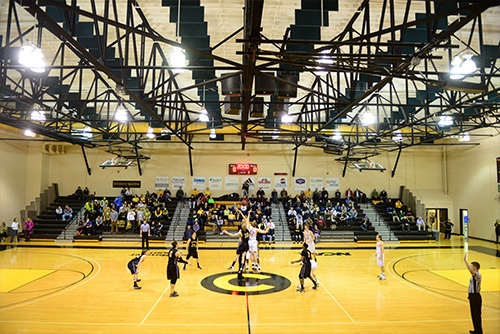 After the renovations are complete, Centre's athletic facilities will rival peer colleges. The facilities will allow Centre to attract high-caliber athletes that are looking for a top-level education. 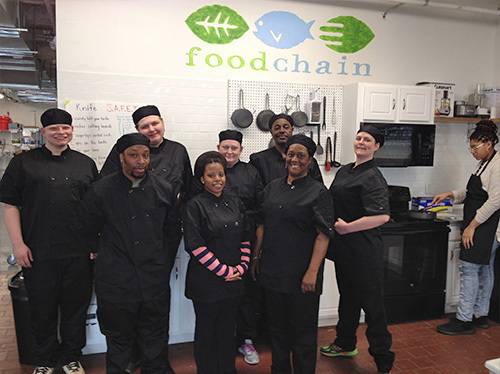 FoodChain's Food Sector Job Training program works to solve three problems in the Lexington community. First is to break down barriers for Fayette County's disadvantaged population that keep them from having a career rather than minimum wage jobs. Second, the program works to fill Lexington's need for skilled and reliable workers in the local food industry. Third, the program takes food that would otherwise go to waste and provides it to food-insecure families. The program is an eight week class that ultimately provides participants with their food handler's permit, hard materials such as knifes and a uniform, and job placement assistance.